Grand Serenaa Resorts is hosting a South Indian Food Festival to offer a delicious treat to the diners. This food festival will witness best of authentic food from the southern states. 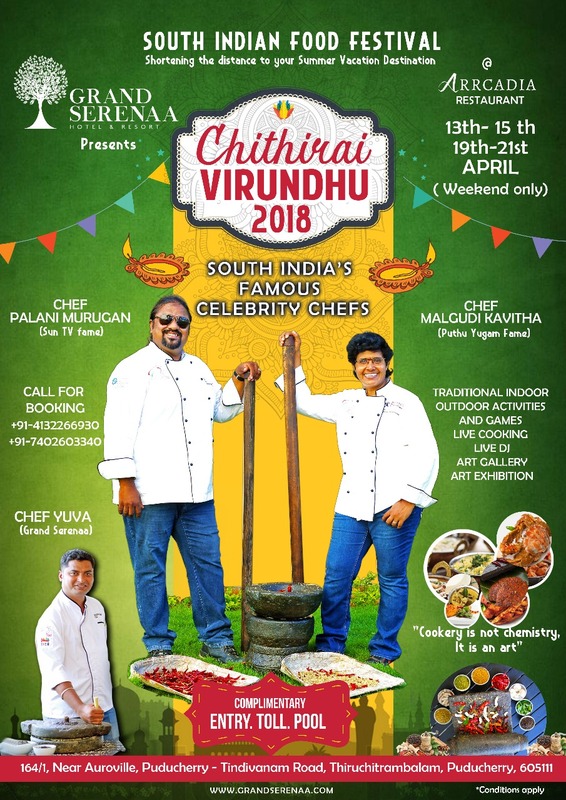 Executive Chef Yuva Prasath along with Celebrity Chefs Palani Murugan(SunTV fame) and Malgudi Kavitha(Puthu Yugam fame) have carefully designed the menu to showcase the culinary delights of this region of the country and offer a rich food experience. The dishes will be prepared using home-made spices to keep the authenticity intact.